The QWEL program provides educational materials designed to provide a better understanding of landscape water management for the landscape industry. The QWEL curriculum and logo are copyright protected and may not be used without the express written consent of the Sonoma-Marin Saving Water Partnership and the QWEL Board of Directors. If the QWEL curriculum is used to achieve the QWEL professional certification the course content must be taught in its entirety by a QWEL Professional Certifying Organization. Different versions of the QWEL reference manual are available. Check with your local Professional Certifying Organization to ensure that you download the correct version. QWEL materials and logo are copyright protected and may not be used without the express written consent of the QWEL Board of Directors. By participation in the QWEL program or use of the QWEL curriculum, the participant and/or user, including any applicant or Adopting PCO, agree on behalf of themselves and their organization to follow and adhere to the QWEL Policies and Procedures, and to hold the Sonoma-Marin Saving Water Partnership and the Sonoma County Water Agency harmless from and against any and all claims, loss or damage to any property, real or personal, liabilities and costs, including attorney’s fees, as a result of participating in the QWEL training program. For more information about the QWEL program please contact us. 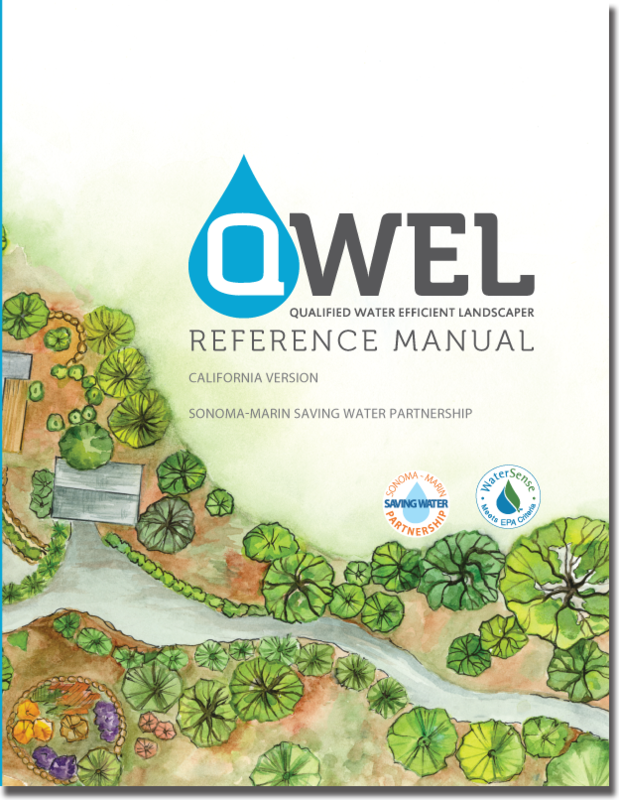 California version - This version of the QWEL Reference Manual requires supplemental information relating to local water supply sources and local utility sponsored programs for water use efficiency.